Blog | Bartok design Co. Blog – Page 45 – Bartok design Co. It has been a pleasure working with you,and we are so looking forward to enjoying these special tubs. 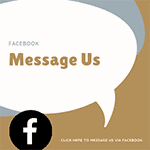 We will be mentioning you to all our friends that will see tubs your company makes! How many gallons one of our tubs can hold? We are trying to figure out how big of a water heater do we need. in you case, 500liters (132 gallons) is the full volume of the tub. You can subtract 15 gallons for the bather and another 15 if you do not want the water to overflow from top. You can adjust the amount of water as you like. Recently, in the land of “up to the shoulder soaking” is becoming popular the half-body bathing (keep the water up to the waist). In this case you would be able to soak for longer periods and enjoy the minus ion atmosphere originated by the steam rising from the tub. 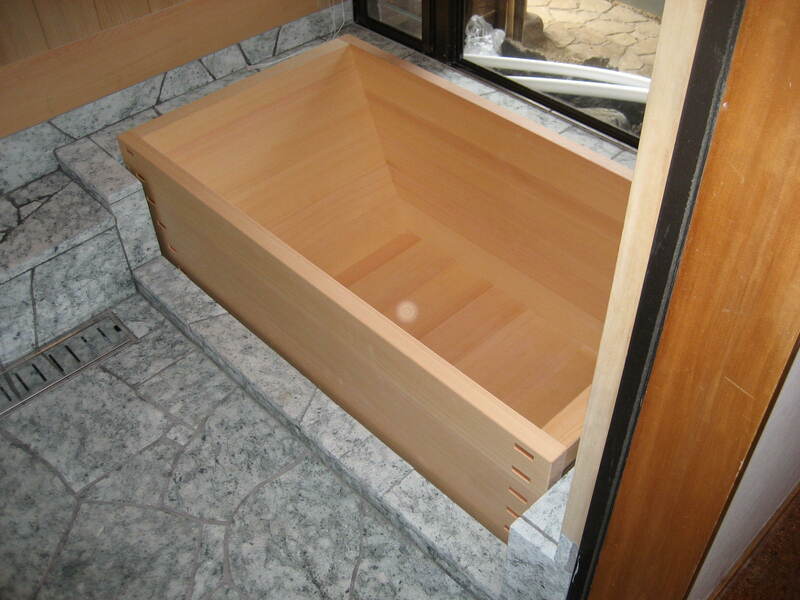 Here are some pictures of a beautiful hinoki bathtub installed in Tokyo. click on the pictures for an enlarged view! 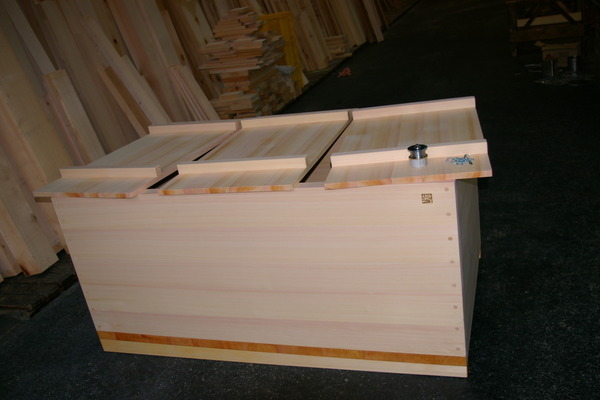 Hinoki wood tub AB grade (quarter sawn) w/ removable bench. This allows for a clean L corner detail while assuring solidity and waterproofing. Tub cover with handles is split in 3 sections for easy maneuvering. The drain fitting will be installed on field by the client to match the exixting location. 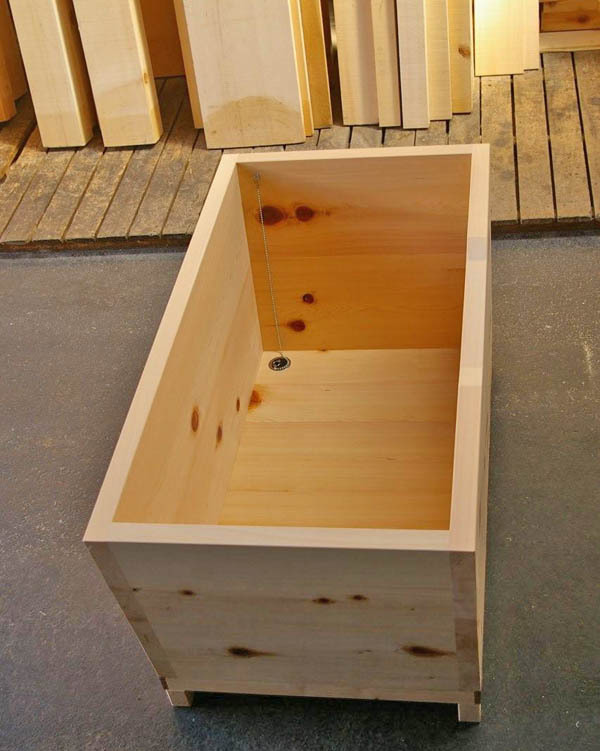 A compact but well proportioned Asnaro wood tub, quater sawn. The apron is finished with natural oil and the joints are realized with wood dowels for a simple, natural look. 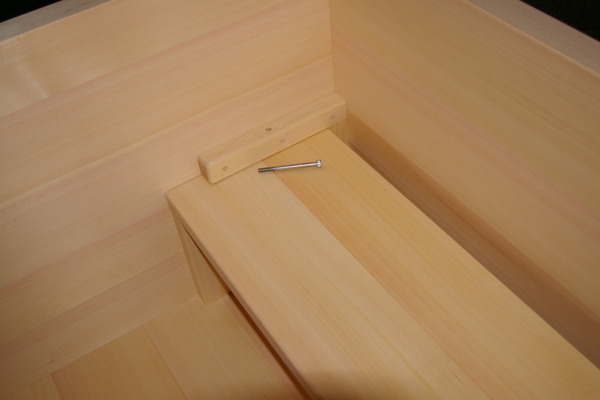 The tub is also equipped with a cover conveniently split in two halves. leak. If all is answered, I would love to get one!! 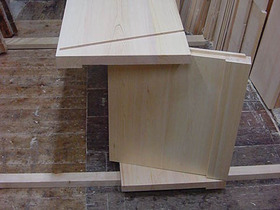 looks like there are many panels glued up to make the height of the walls..
2. what kind of joint is used to connect the floor with walls…. 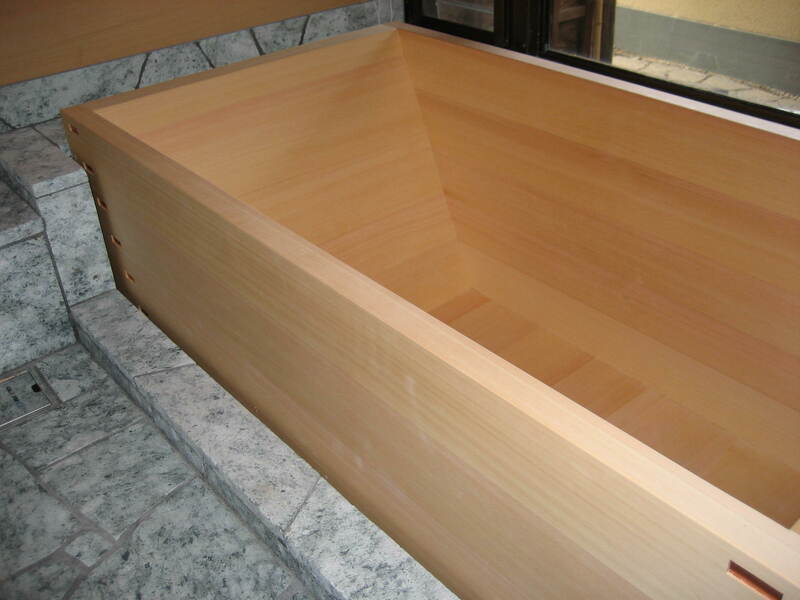 Thank you for your interest in our japanese soaking tubs. Please find enclosed some pictures of our standard details. Click on the thumbnails for an enlarged view. curing agent). There are no metal parts. 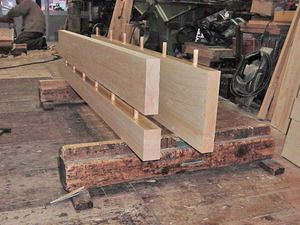 Adjoining planks are cut together so the cutting angle matches perfectly. 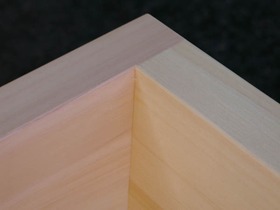 the corner joint is realized with tongue and groove + epoxy resin. long stainless screws are used to provide extra sturdiness. Honestly, our tubs do not leak. If you use it regularly (everyday or every other day) your tub will work perfectly without any maintenance. The only thing you should pay attention to is the fact that wood tubs are vulnerable to dryness. If you leave the tub unused for long periods it may crack. It is difficult to determine exactly at which point critical conditions are reached. It depends on air temperature/humidity, ventilation, heating equipment etc. In any case, when you leave the tub unused for a week or more (let`s say 4 days or more as a doublesafe), leave 10cm of water inside and you won`t have any problem. The tub has a very simple, elegant shape with slanted short sides. 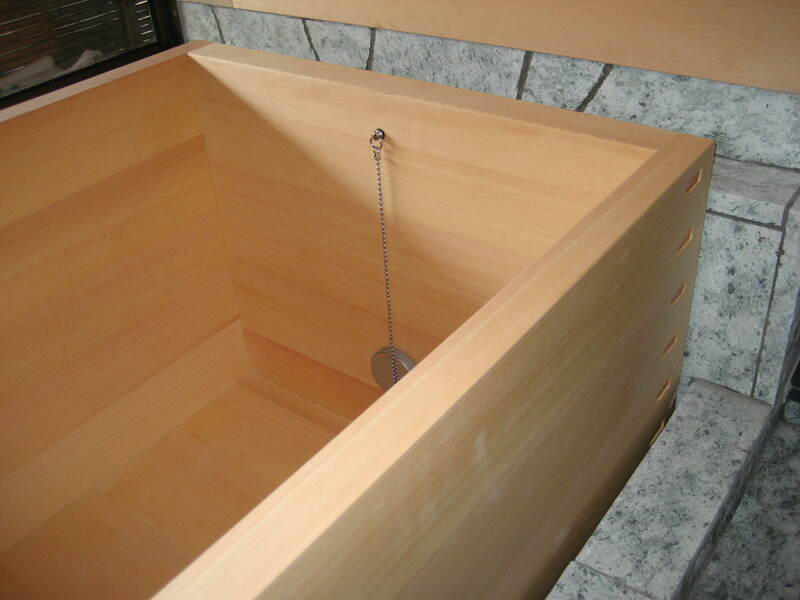 We hope that the tub will match the client`s expectations and will provide a sensorial background for his unforgettable memories of japanese hot springs…! 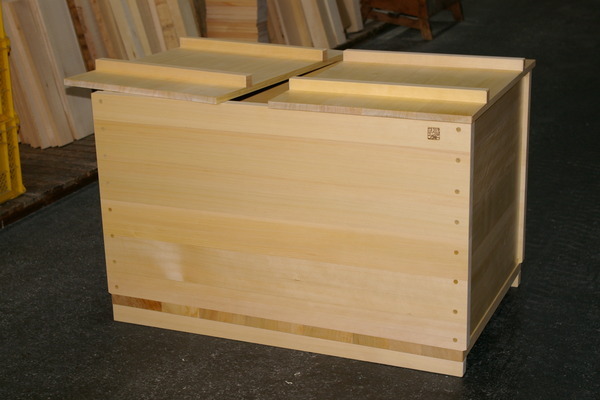 We do enjoy our hinoki tub, although we have had some minor cracking with some black growth on the outside of one of the corner joints. We’ve also found that hair and skin cells seem to stay floating on the surface even though we always shower before entering. I am sorry you are having some problems with the tub. 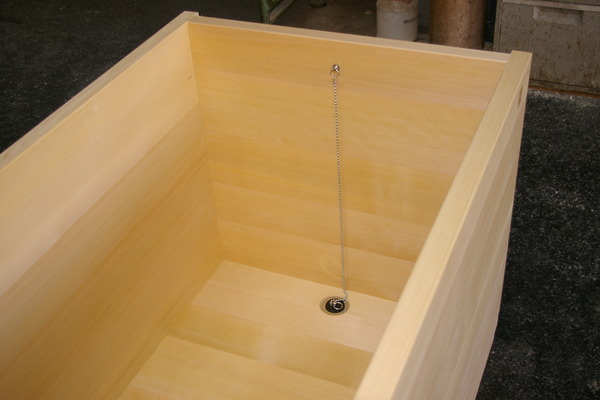 About the dust staying afloat, I do not think it is a problem of the wooden tub, although chances are that when you drain the tub, small particles attach to the wood more easily than it would be in the case of an enamel or acrylic tub. About the mold and cracks, please send some pictures, I`d be glad to advice. I am enjoying my tub, which is installed on a deck outside my house. 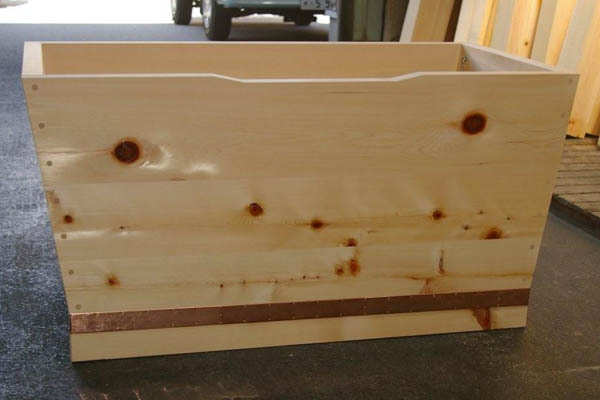 I was wondering if it is OK to put some sort of sealant on my tub, like the kind of sealant one would apply to teak wood, for example. Or, should I just leave it as-is and cover it up to make sure it doesn’t age too much because of the sun, etc. I am glad you found a good solution for the tub. 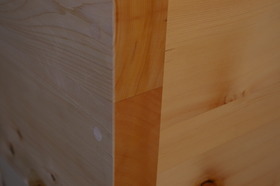 – Due to the oils contained in the wood, the coat may not stick uniformly and may detach. Consult also with the maker of the coating product. 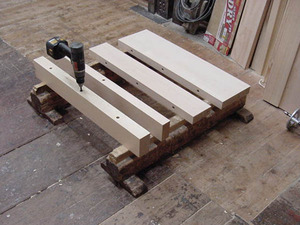 Generally we recommend to use it untreated or apply a natural oil to hydratate the surface of the wood. Additionally there are also some non chemical clear wood treatments which last one year and provide extra protection against mold. Please let me know if you need some product. If you have a specific problem, please send pictures of the tub and the installation conditions. Thank you. If I do not treat it, will it deteriorate more quickly than if I treat it? I like the way it is but am worried about it deteriorating. I am having a cover made for it to keep it out of the weather. However, it got quit a bit of sun last year and cracked in some places. It does not leak, and the cracks are probably natural and not a problem. I like the way it looks now that it has aged for one year. I just wanted to make sure that I’m not supposed to be treating it with something. If there is a natural oil that I should apply, please let me know. 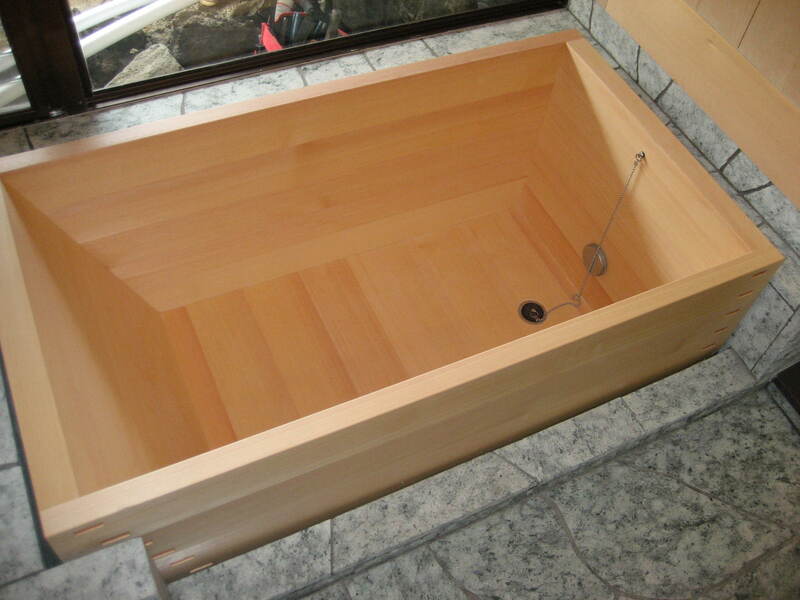 It is not necessary to treat the tub and usually japanese people do not apply anything. In case you want to restore the original shine you can apply our hiba oil with a cloth, like you would do waxing a pair of leather shoes. Please keep the tub protected from direct sunlight and if you cannot, leave the tub full of water to prevent dehydratation and cracks. 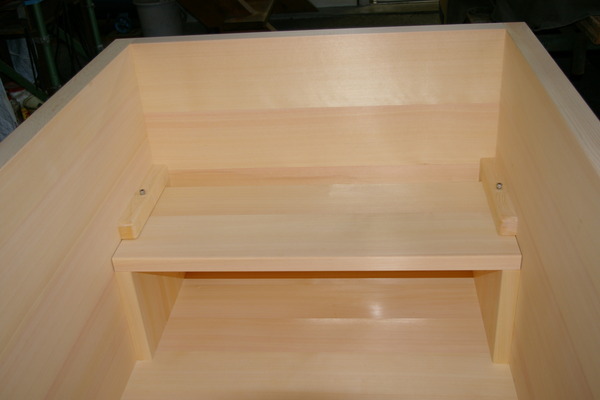 I am measuring the niche where I will be placing the hinoki tub. How precise should the dimensions be? We build with a tolerance of +/-1mm, anyway be aware that wood is a natural material and tends to shrink and expand with the change of seasons. If you place it against a wall, be sure to leave a 10mm clearance all around to ensure air circulation (see details page).